On Monday I showed you some views from the road trip over to Portavadie. 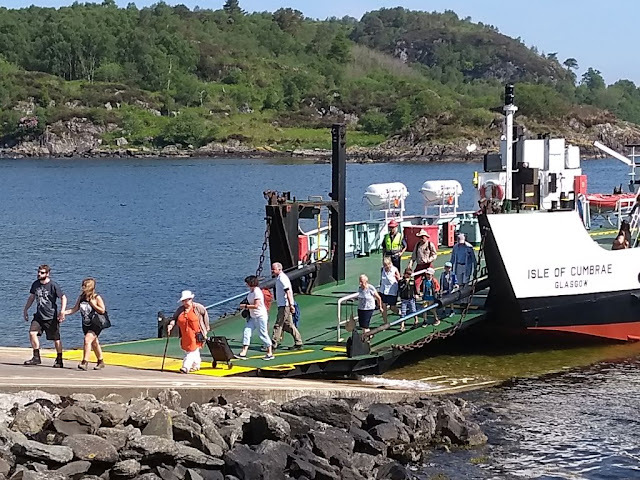 I then took the ferry over to Tarbert, which sits at the top end of the Kintyre peninsula (as in Mull of Kintyre - though that body of water is actually right at the South tip). 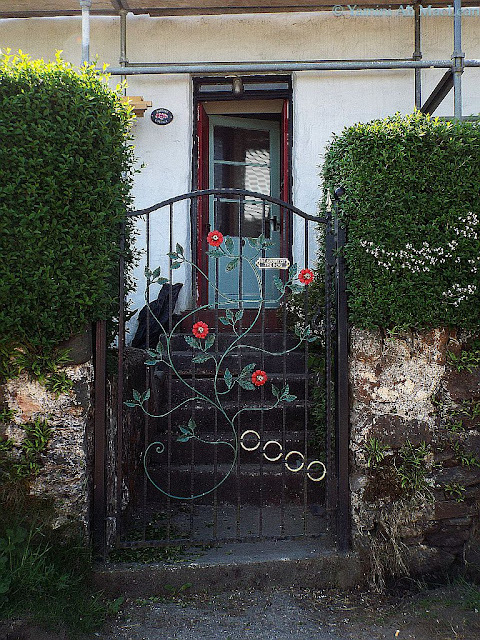 Right away, this gate caught my eye - and the lens. 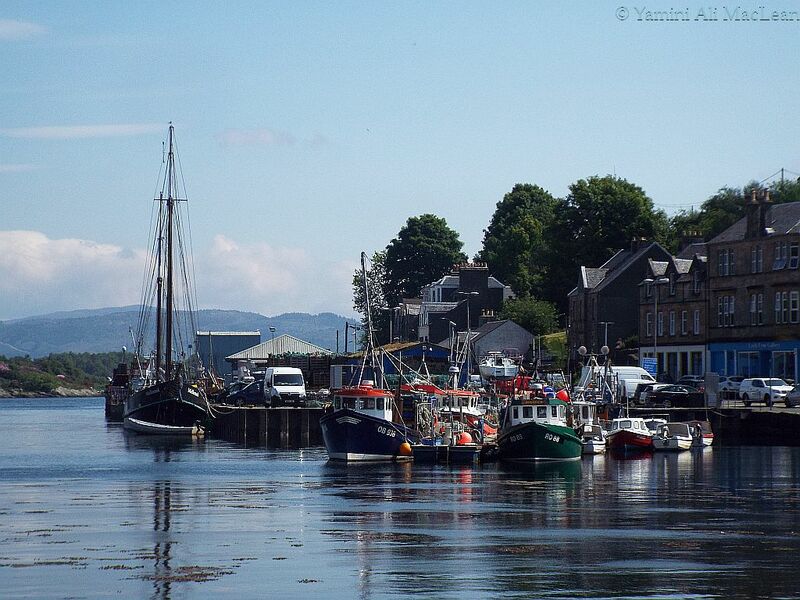 Tarbert is also referred to more fully as 'Tarbert Loch Fyne'. This is due to there being several of them in the Bonny Land. "An Tairbeirt" is the Gaidhlig for a narrow strip of land to be crossed between two bodies of water. Whilst it sits at the very top of Kintyre, it is also the very bottom end (as in South) of the sea loch famous for its oysters and kippers and it is just a short hop to the other coast which is the Atlantic Ocean. 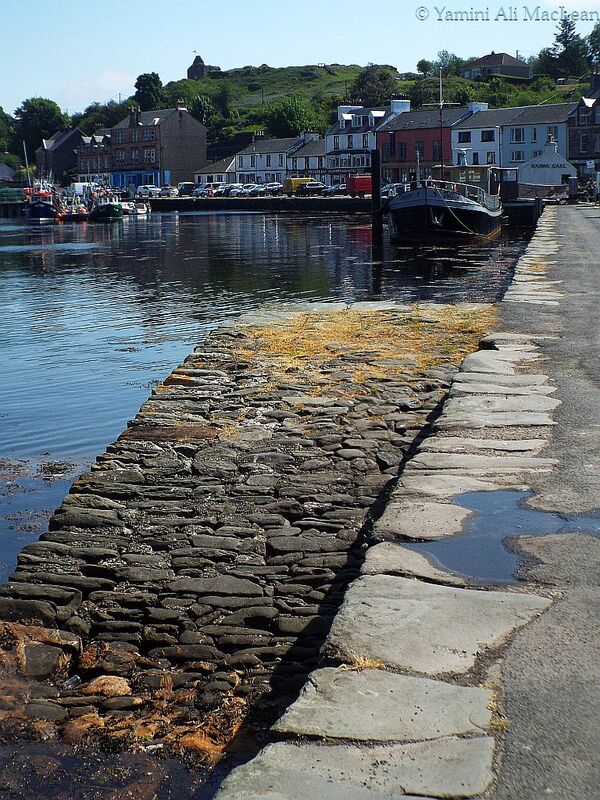 The town is nestled very nicely in a natural harbour, one of the prettiest you will ever see. Those are two traditional fishing skiffs. Read more about the harbour HERE. Needless to say, there's a marina here too. 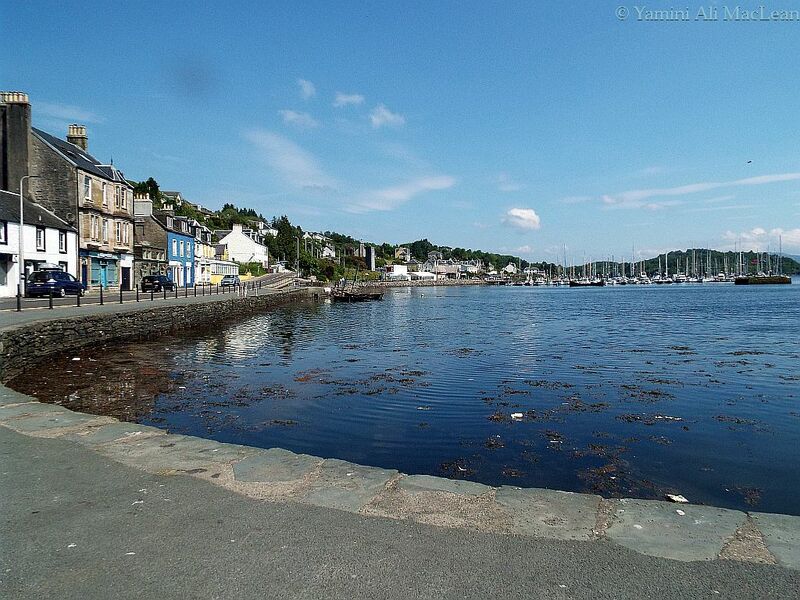 There are many regattas around the whole of this area during the summer months. Wind is never in short supply. 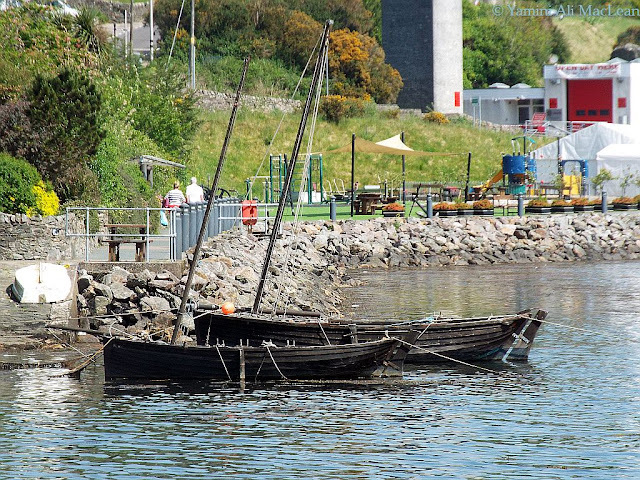 There is a strong fishing fleet here. After all, there are prawns to catch (which what most do now). Mom thinks that gate is very nice too - very inviting. 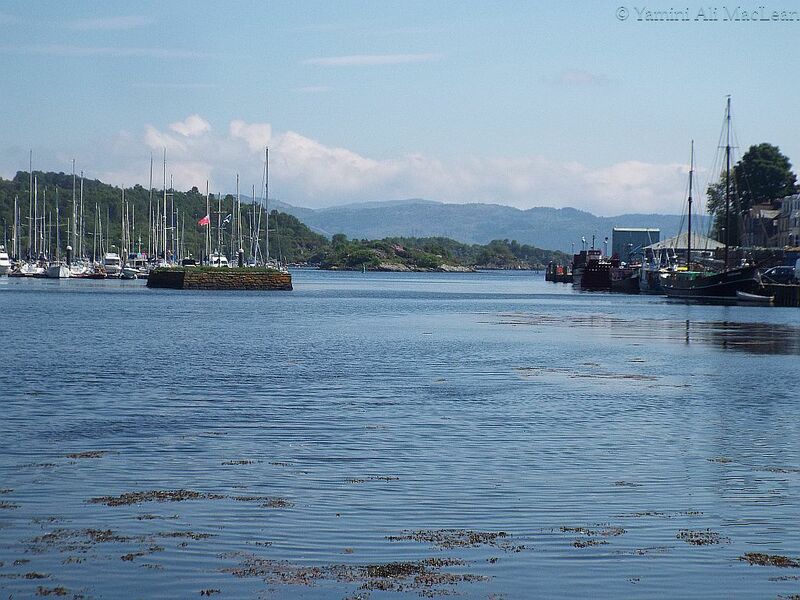 I've been once before to Tarbert Loch Fyne. Thanks very much for reminding me how lovely it is. Oh yes stylin' for 200% certain in that hat and we are quite partial to your orange top too. Mom loves that shade of orange. She is gradually adding it to her wardrobe. AND OMCs that gate with roses caught our eye too as did all of the lovely photos. Oh ~ beautiful place and wonderful photos! Gate is very unique ~ great capture! What a wonderful hat, you are definitely styling! Beautiful scenery!!! Crikey ..... you really rock that hat, Aunty!! Mum loved those pictures .... hmmmmmmmph .... I see me being left at home soon She missed your Monday post so I guess we'll be going back to look at it. She visited that area many, many years ago now. Oyster and Kipper love them both. I'm taking kippers in my lunch. I love seeing your sea! It's so beautiful. Love all the little pops of color in all the pictures. Which I attempted to tell you yesterday, but the tablet would not display the publish button. "Wind never in short supply!" You look fabulous!